Ryan Endres, PMP, is an accomplished Program/Product Manager with more than 18 years of experience in the pharmaceutical / biotech / healthcare industries. He has a proven track-record of improving and impacting corporations through the redesign of processes and utilization of enterprise technology solutions. 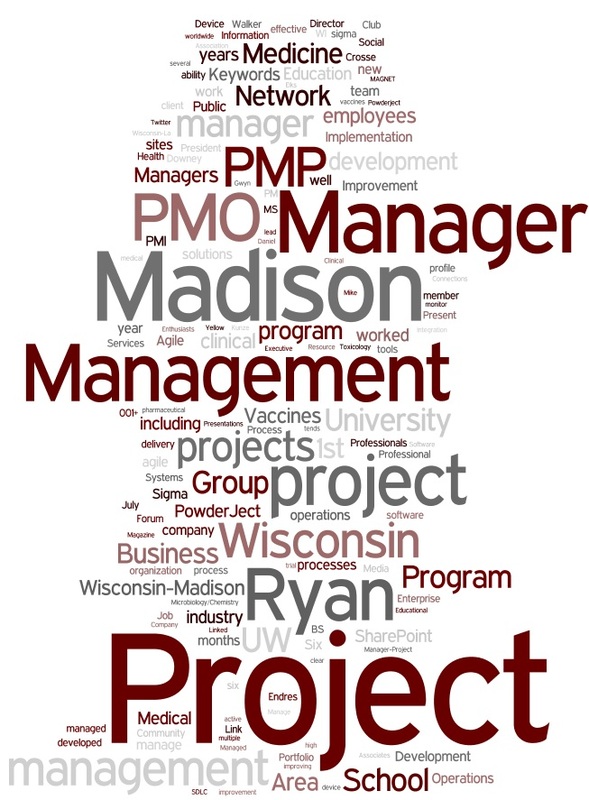 Ryan is PMP certified as well as a Yellow Belt Six Sigma holder and he has his masters certificate in Project Management from the University of Wisconsin Madison and he is a Ceritifed Scrum Master (CSM). He is a skilled writer and presenter on a variety of project management topics. Ryan was chosen by InBusiness magazine as one of Madison, WI top 40 under 40 for 2009.